For Season II, Illuminate Women's Music is delighted to announce the formation of a new ensemble, the Illuminate String Quartet, who will be performing across the UK with soprano singer Yfat Soul Zisso! In Season II, Illuminate Women's Music is commissioning new works by six women composers. The composers are Caroline Bordignon, Soul Zisso, Joanna Ward and the Illuminate composers in residence Angela Elizabeth Slater, Sarah Westwood and Blair Boyd. The composers will be collaborating with the performers of the newly formed Illuminate String Quartet and soprano singer Soul Zisso. The Illuminate String Quartet members are Clarice Rarity (violin), Christine Cornwall (violin), Katherine Clarke (viola) and Cecilia Bignall (cello).These new works will be programmed alongside a wealth historical works by composers such as Rebecca Clarke, Barbara Strozzi, and Ruth Crawford Seeger giving a rich context to the strong but neglected tradition of women’s music, and rightly bringing these works as well as new ones to the attention of new audiences across the UK. Illuminate Women's Music 2019 seasons II is supported by Ambache Charitable Trust and RVW Trust. 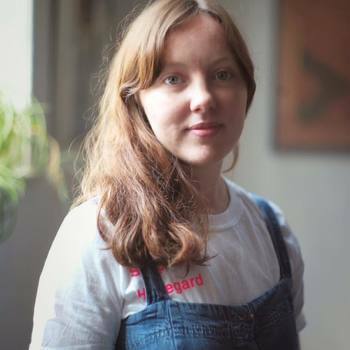 ​Joanna Ward (b.1998) is a composer and musician from Newcastle upon Tyne, currently based in Cambridge where she is completing her final year of an undergraduate Music degree. Joanna’s music has been widely commissioned and performed, and she has taken part in prestigious schemes such as Sound and Music’s Next Wave scheme, ensemble recherche’s Klassenarbeit, and most recently NYCGB’s Young Composer scheme. Achievements of note include her opera hunger (commissioned by Helios Collective) achieving 5* reviews and sell-out shows at the Edinburgh Fringe, and her piece to think at the sun being released on NMC Recordings and played on BBC Radio 3. Joanna is interested in the methods of communication and expression found across the breadth of her favourite music and draws on elements from these when creating her own work, which is often very personal as well as political. Caroline Bordignon is a Manchester based Canadian fine artist and composer working in a variety of mediums including oil, water colour, acrylic, graphite, and mixed-media in correlation with musical composition. She seeks to explore aspects of colour, space, time and the ways in which these interrelate through visual and musical expression. Her greatest artistic pursuit besides more traditional practice is to create visual and musical works together with the objective of establishing single, yet varied and complimentary art forms. ​ Her works have been performed in Canada and internationally and she is currently a composer on the 2019/2020 LSO Panufnik Scheme. She has participated in masterclasses with artists such as the BBC Singers lead by Judith Weir, Psappha, Eleanor Alberga, Margaret Schedel, Anders Hillborg and Deborah Pritchard. ​ Caroline is a PhD Candidate in composition at the Royal Northern College of Music in Manchester, UK with Adam Gorb and Laura Bowler. She completed her Masters of Music in Composition at the RNCM under the tutelage of Adam Gorb and Gary Carpenter where she was generously supported as a Stanley Picker Trust Scholar as well as a recipient of the Waverley Fund. ​She completed her Honours Bachelor of Arts in Music and Fine Art at the University of Waterloo, Ontario, Canada. ​Ever since commencing on her music studies at the relatively late age of 15, Soul has been dedicated to her dream of becoming a composer. She graduated from Cardiff University, studying with Arlene Sierra and Robert Fokkens and for a brief time studying with Alison Kay, before commencing on a Masters and later a PhD in composition at Birmingham Conservatoire under the supervision of Joe Cutler and Howard Skempton. Her music, which has been described as ‘curiously original’; (Wales Online) and having ’real character and sensitivity’ (Wales Arts Review), has been performed by the BBC National Orchestra of Wales, BCMG, Birmingham Opera Company, Xenia Pestova, Carla Rees, and the Fidelio Trio around the world in a wide range of venues including Wells Cathedral, Hoddinott Hall and St Johns Smith Square, and festivals such as the Cheltenham Music Festival, Occupy the Pianos and Birmingham Weekender festival. Her interests range from the use of different microtonal soundworlds and textures to children’s books and the exploration of various extended techniques. Her PhD focuses on creating a quarter-tonal compositional language suitable for singers, which includes the development of a step-by-step method to help singers learn to hear and sing quarter-tones. Clarice Rarity studied at Guildhall School of Music and Drama and the Royal College of Music. She has focused her career on performing the works of contemporary classical composers such as John Cage, Pierre Boulez, Michael Finnissy, Hans Abrahamsen and Luigi Nono. 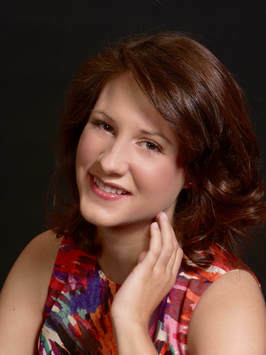 Clarice’s interest in this repertoire led her to work with some of the most exciting young composers in the UK. Performance premieres include pieces by Oliver Leith, Thomas Colt and Mark Simpson. 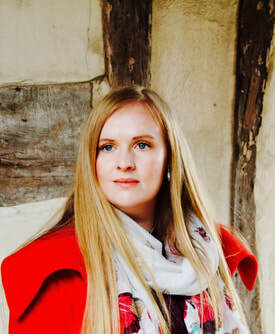 Clarice’s performance highlights include working with the Birmingham Contemporary Music Group at Wigmore Hall and Birmingham Festival Hall and working at Viitasaari new music Festival with Ensemble Modern/IEMA in 2017, for the conducting masterclasses lead by Susanna Malikki. She featured in the 2018 Huddersfield Contemporary Music festival along side her colleague Nathanael Gubler as part of their emerging artists scheme ‘huddersfield shorts’. She also, is currently on a world tour with Akram Khan performing in his final solo performance ‘XENOS’. 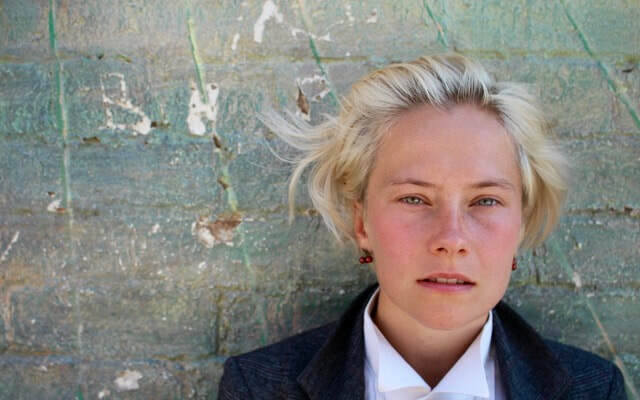 ​​Christine Cornwell is a freelance performer/composer with strong connections to improvisation and collaboration. After studying with Nic Fallowfield and Simon Smith at Royal Birmingham Conservatoire she continues to seek contemporary music projects in the UK and most recently the Netherlands, where she is based. 2018's professional projects include a premiere of experimental film with live music at Amsterdam's EYE Film Instituut, producing a site-specific music/circus arts/dance collaboration in Rotterdam and working as a guest teacher at an arts focussed upper school to present workshops exploring 'from the everyday' inspiration and encouraging collaborative practice. 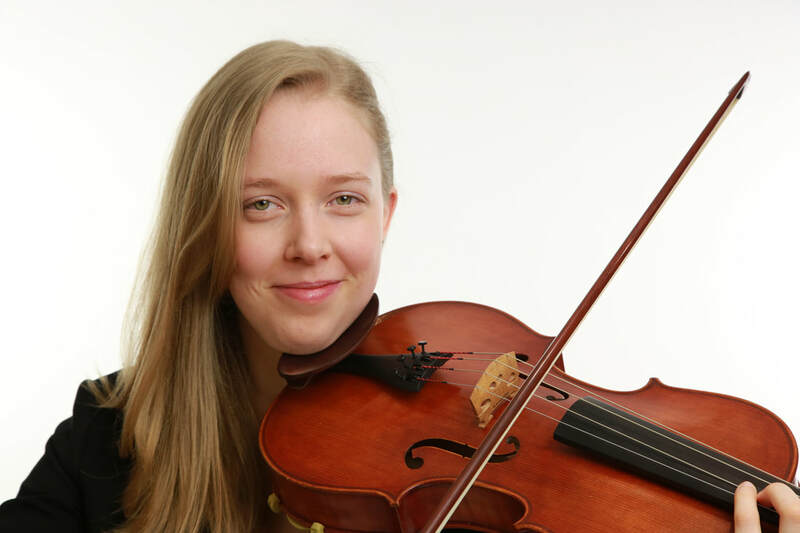 ​Katherine Clarke is a talented viola player, with a particular interest in contemporary repertoire and a versatility that allows her to explore many different aspects of music, from playing in chamber groups to performing solo recitals. Having completed her undergraduate studies at the Royal College of Music, she went on to achieve a Distinction in her Masters in Performance at the Guildhall School of Music and Drama, with scholarships from the Goldsmiths’ Company and the Guildhall School Trust. Katherine enjoys working with composers to write new works for the viola, showcasing the depth and range of this underrated instrument. Last year she premiered four new works for singing violist, commissioned with funding from Arts Council England, and more recently she premiered Cantare et trepidarefor singing viola by Sadie Harrison, written specially for her. With more commissions on the way, Katherine will continue to perform and contribute to this unique and exciting repertoire. 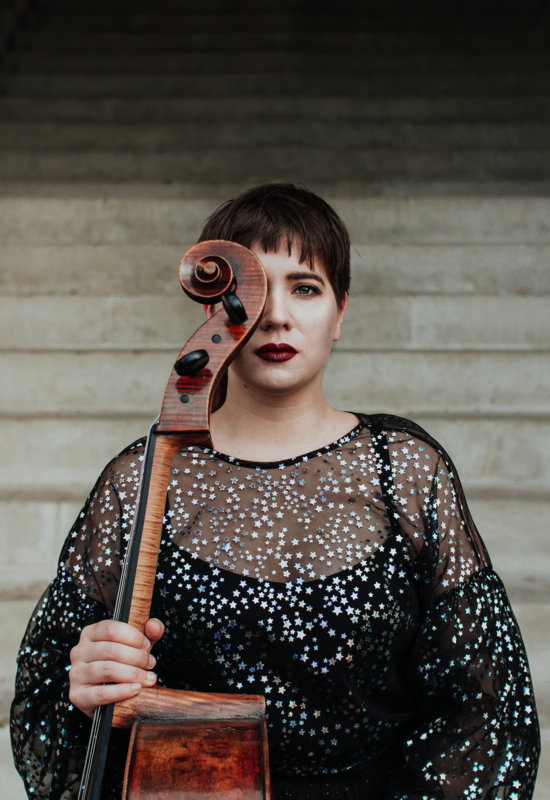 ​​Cellist and composer Cecilia Bignall is passionate about chamber music and contemporary music. Cecilia graduated with a first class honours degree from the Royal Academy of Music in 2015, where she studied with Robert Cohen and Patrick Nunn. She has performed extensively across the UK and Europe, including at the Oslo Opera House, St Martin-in-the-Fields, the Wigmore Hall, the International House of Music in Moscow, Kings Place Festival, Solti’s music studio and St John’s Smith Square, and has performed world and international premiers at festivals in the UK, Russia, Azerbaijan, Hungary, Japan and Italy, as well as at the Aldeburgh Festival. She has been broadcast live on BBC Radio 3 during ‘Sound Frontiers’ Festival at the Southbank Centre, and was featured on Proms Extra in 2016 performing music by Gabriel Prokofiev, along with the composer himself. ​ Cecilia regularly performs contemporary music and jazz, including improvisations with electronics, and has played with contemporary groups such as London Sinfonietta, ensemble x.y and the Riot Ensemble. She has toured with jazz sax legend Chris Potter and recorded with Tim Garland for his next album at Abbey Road Studios, as well as appearing on albums with vibraphonist Ralph Wyld and saxophonist Tim Ridout. She is cellist of Trio Derazey (formalerly known as the Jorgensen Trio), who won both the prestigious St Martin’s Chamber Music Competition and the Malta International Music Competition. She is a member of exciting accordion-and-cello ensemble Duo Bayanello, with whom she is currently on a 21 concert tour of Russia. She has a duet with pianist Joseph Havlat, and also cofounded ‘Imprint’, a contemporary collaboration with Ralph Wyld, as well as being a member of his jazz sextet Mosaic. Projects in the near future include a contemporary trio recital at the ambassador’s residence in Rome with Ben Smith and Scott Lygate, and a tour of the UK with jazz legends Dinosaur and the Ligeti Quartet, as well as world premiers in London and Cardiff with Duo Bayanello.